Years ago, while my wife and I were having dinner with her parents, her father said something that changed my whole approach to writing. Bill Hadley was an award-winning school superintendent, known throughout the teaching profession for his staff’s high quality. On this occasion we were discussing education in general, and I asked him how he achieved that sterling quality. I pressed him for details, and he gave the example of hiring an English teacher. All applicants may be qualified to teach English, but one or more may have additional skills. So he hires the one who also likes to direct school plays, or oversee a school newspaper or yearbook. Multiply hiring for this one position by the number of teaching slots on his staff, and one can easily see that the parts definitely add up to more than the whole. I thought about that conversation many times since that evening, and realized his hiring technique could be used in many fields. It seemed to be a Universal Truth. One day, while I was writing a scene for a new novel, the power of his technique hit me. Why, scenes were just like those teachers! If writers made sure every scene did at least two things instead of one, they would have a more powerful manuscript. I applied that thinking to my writing and saw it take on a new life. I think using the technique will make you a better writer, too. All the scenes in your first chapter provide information to the reader. That’s their first talent. The second talent should be to move the story along. Readers do need certain information so they can follow the story. Some fiction writers provide it, in part, by having two people discuss the information in an early scene. Often, this takes place in the heroine’s apartment (or its equivalent). Nothing else happens in the scene. This approach is deadly. Readers sometimes feel they’re forced to sit on a couch in this cramped apartment and listen as the heroine and her sidekick discuss these pertinent must-have facts, perhaps glancing at the readers occasionally to see if they are picking up what the author is putting down. A much better way to pass that information is to do it as something else is happening. A good example is a first chapter I read not long ago about a Manhattan girl going to a Texas dude ranch. One option the author had was to sit me down on that apartment couch and feed me a scripted message about why she is going to that ranch. This author, however, found a better way. She took me with her to the airport. The chapter opened with the three of us—myself, the heroine, and her sister—arriving at LaGuardia. We looked around, and I began enjoying the outing. I watched people hurry by, heard the throaty announcements of departing flights, felt air gush from the air conditioners as we walked under them—the author presented all that information in a way that let me experience the trip. At the scene’s end I boarded that plane with the main character (I don’t know how that works, since I had no boarding pass), and we searched for our seats. It occurred to me, while I was anticipating my free peanuts and staring out the window at the tarmac activity, that the author had tricked me. While I was enjoying myself in the terminal the main character and her sister discussed the reasons for the trip. Sitting there in that airplane waiting to take off, I knew all those reasons. But I hadn’t been forced to sit in a smoky apartment to learn them. I swear I absorbed them by some form of osmosis while accompanying my two new friends. 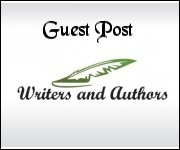 Guest post by Don McNair, author of Editor-Proof Your Writing: 21 Steps to the Clear Prose Agents and Publishers Crave, a self-editing book to be published by Quill Drivers Books on April 1, 2013. He’s also author of six published romance and young adult novels. Don will giving away reader's choice of a copy of one of his books on http://www.donmcnair.com/ to one randomly chosen commenter so I encourage you to follow the tour and comment; the more you comment, the better your chances of winning. The tour dates can be found here: http://goddessfishpromotions.blogspot.com/2012/06/virtual-book-tour-mcnair-mysteries.html. I agree completely about the balance between giving readers information and moving the story along. Sometimes I find if I can't do both for whatever reason I will keep the facts as short as I can. I've never wanted to bore readers with endless description and history. I give them just enough information for the story and nothing more as they don't need any extra details. That's a great plan. But be sure to tie the information into the story's actionl So rather than saying something like "Small animals often came to drink at the stream," say something like this: "When he turned, two squirrels jumped back from the stream and ran into the woods." Thank you for hosting Don today. Great advice. As writers we have many challenges...part of the fun of creating a memorable book. Readers would be shocked at how many hurdles we writers must jump to give them a meaningful story. If we think back to our own beginnings, when we thought our work was perfect, we'd be equally amazed at how far we've come.